Featuring Skepta, Travis Scott, Lil Uzi Vert, Nicki Minaj, Chief Keef, Young Thug, Bryson Tiller and more. 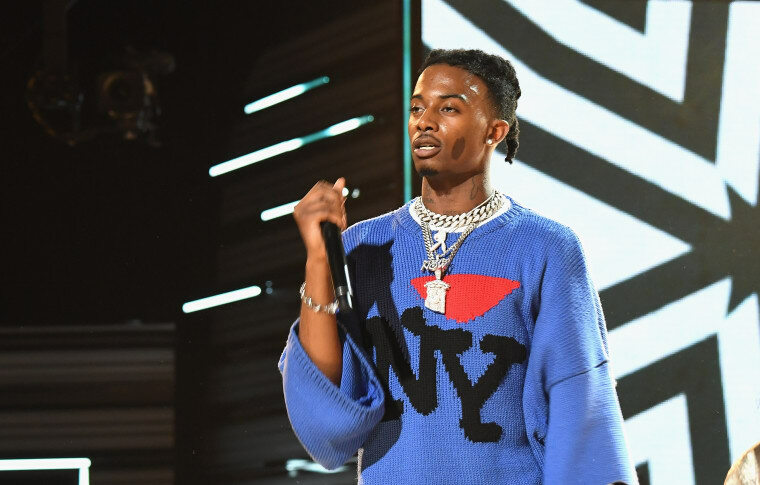 Just a week after sharing the Travis Scott-featuring "Love Hurts," Playboi Carti's debut album has arrived. The expansive 19-track LP is called Die Lit, and it's got a pretty impressive stage dive on its cover. The record features guest appearances from the likes of Skepta, Travis Scott, Lil Uzi Vert, Nicki Minaj, Chief Keef, Young Thug, and Bryson Tiller. Dive back into the world of Carti — stream Die Lit below.